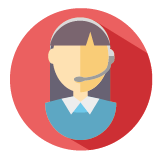 Choosing a new telephone system is a process that requires thought and consideration. For small businesses, committing to any equipment or service is a big deal - the risk of choosing the wrong option, or of selecting a plan that does not fit your industry is a very real concern and so, whatever business you run, it is important that you fully consider your options. The best way to get a comprehensive idea of which plan you should choose is to speak with a variety of suppliers. Approved Index can help here. We use your specifications to provide you with the most appropriate quotes, which you can then compare. Using our quote comparison service is the best way to ensure that you get the best service and the best equipment, at the best possible price. 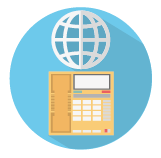 If you want to find out more about the best small business phone systems on offer simply continue reading this page. Or if you are ready to compare quotes today, simply complete the form above. It only takes a minute and the comparison could save you as much as 40% on your purchase and installation. The 4Com group are well known for their high-quality telephone systems, offering intuitive hassle-free solutions for small and large businesses. 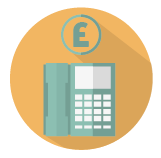 They emphasise the need for a highly practical solution, and aim to increase your business's efficiency while keeping your costs to a minimum. With a 4Com system you can rest assured that your communications will be first class, as the company provide feature-rich plans and a range of handsets to suit your budget, from the basic to the state-of-the-art.